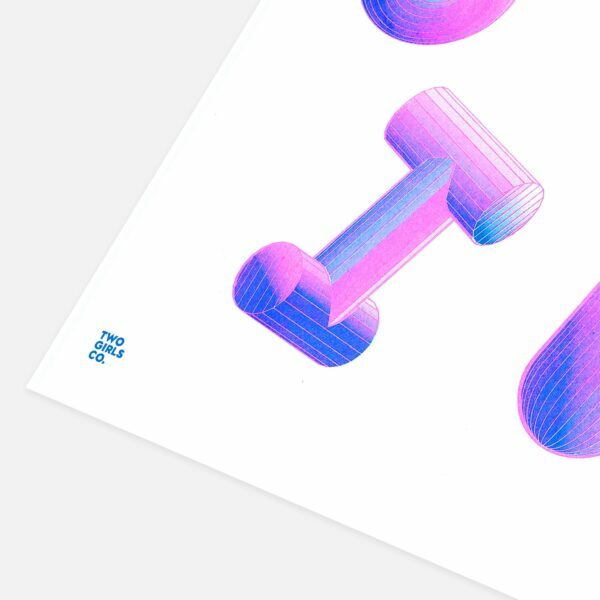 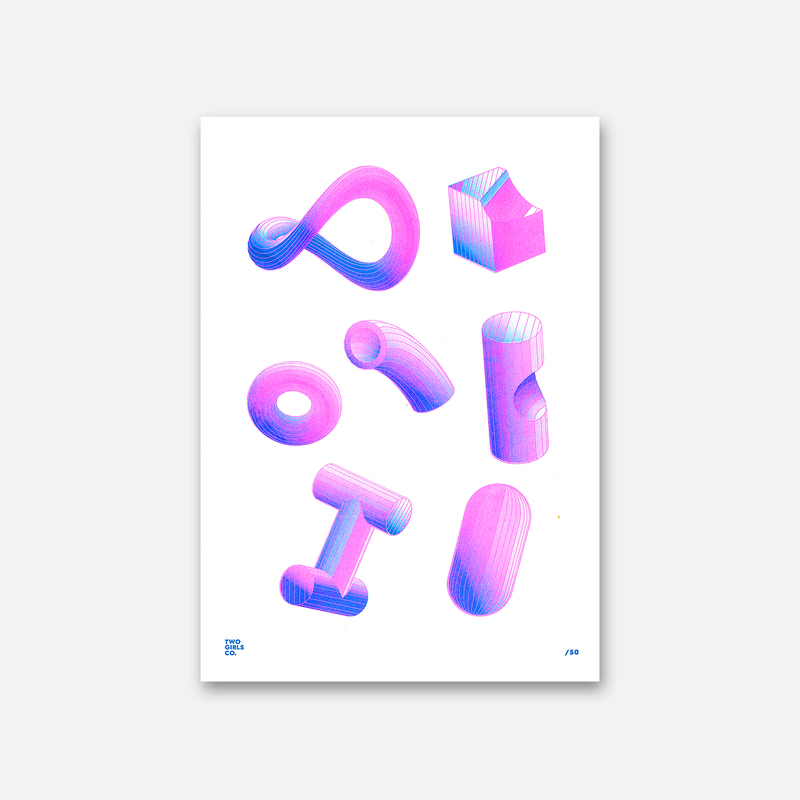 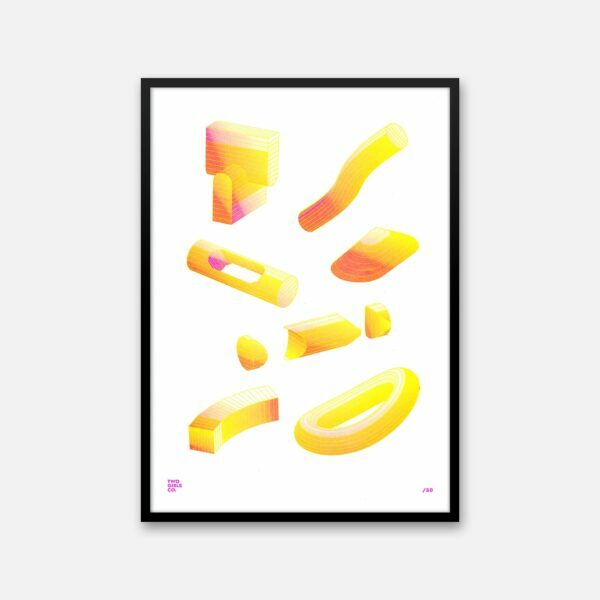 The ‘2×3’ limited edition prints are an exploration into the cross discipline skillset of Two Girls Co. Utilising both 2D and 3D softwares, we have created these abstract prints which would be a colourful two tone addition to any home or office. 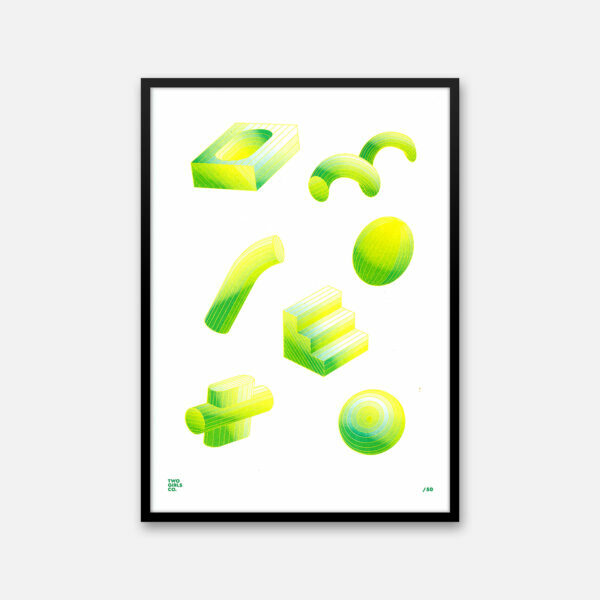 Printed on an original Risograph printer, each print is variable and has it’s own unique markings and alignments. 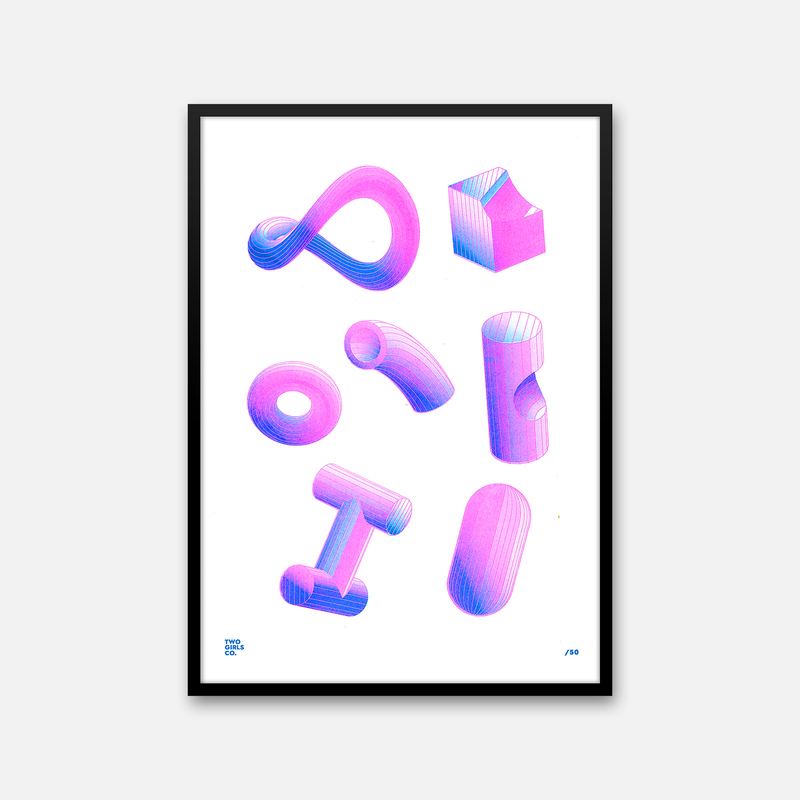 This listing is for the print only and is unframed. 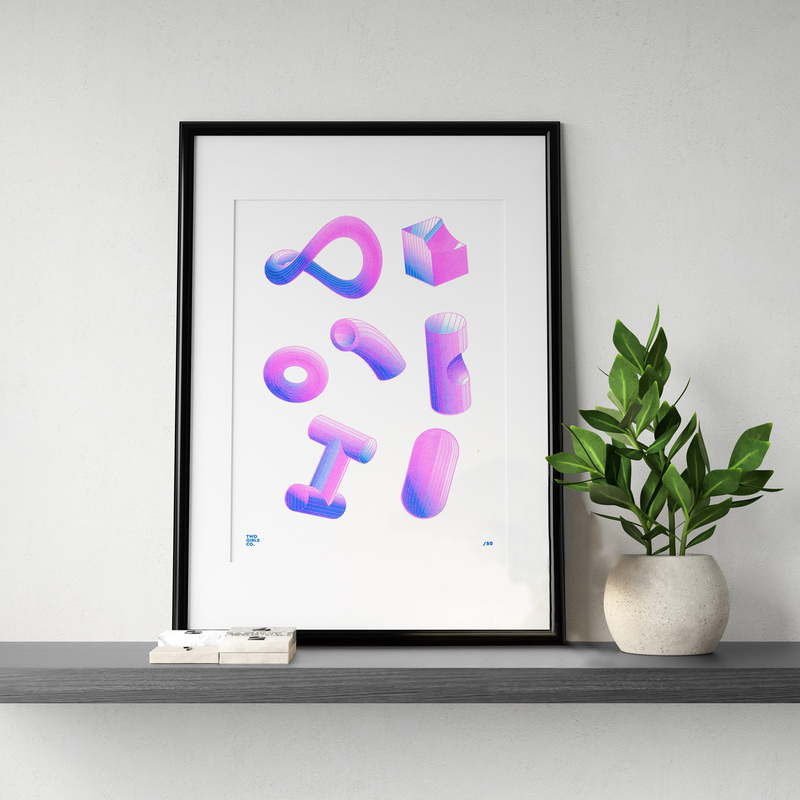 Designed and made in Bristol, UK by Two Girls Co. and partner makers. For wholesale enquiries, please email hello@twogirls.co.uk.